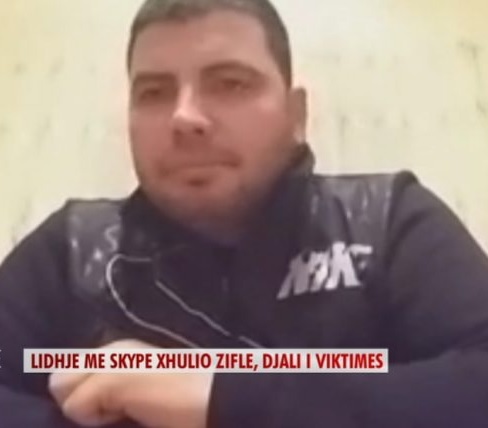 The son of the 63-year-old Petrit Zifle, who was shot dead a few days ago in Corfu, Greece, by a Golden Dawn member, showed that his father had no debate with the author of the murder but was in his job. In a direct link to News24, the son of the victim, Giulio Zifle, confessed that it was not true that his father had a debate with the assassin and had no debate with anyone. The 44-year-old member of Golden Dawn who was arrested by police, after killed the Albanian has thrown him into a canal in Dragotina. - You accompained your father? - Your turned back to Greece his body? - You live in Berat and do not live in Greece. Did you phone your dad? I called my sister and mother and told that my father did not answered my calls. - How did you find out about the event? He was never late and every diner returned home. The phone went off and the time was bad. After we saw that everything was not good, we went out and begun searching for him. We went to the police and denounced his loss. They began the search and I received the news in the morning, they told me the grandfather is dead. They got the autopsy and we got the body on Friday. - When did you learned out about murder and on who do you suspect? The assassin now is public and we thought we had no problems with anyone. My dad has lived for more than 20 years in Greece and is a respectable man. - Do you know anything else from the police as they say is killed by Golden Dawn? I do not know. Many media say unfounded things. We are very sorry, while the media write what they want.... He was at work and everyone loved him. He is not involved in quarrel as media say. - You are aware that the assassin has a lawyer. But your family? We are following the tragedy. I have been very much burdened by what I read. My dad looked at his job and had nothing to do with anybody. I want to not be speculated on my father's news. - Does the Albanian Embassy in Greece offered help to you. Do you contacted with them?